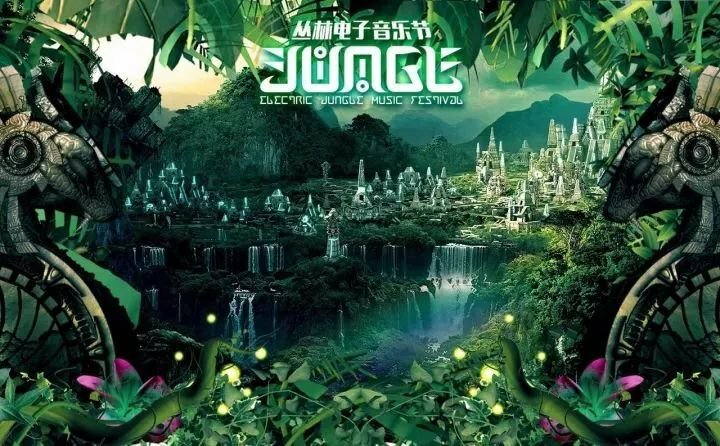 This year’s theme for Electric Jungle Music Festival is Off to the Jungle! 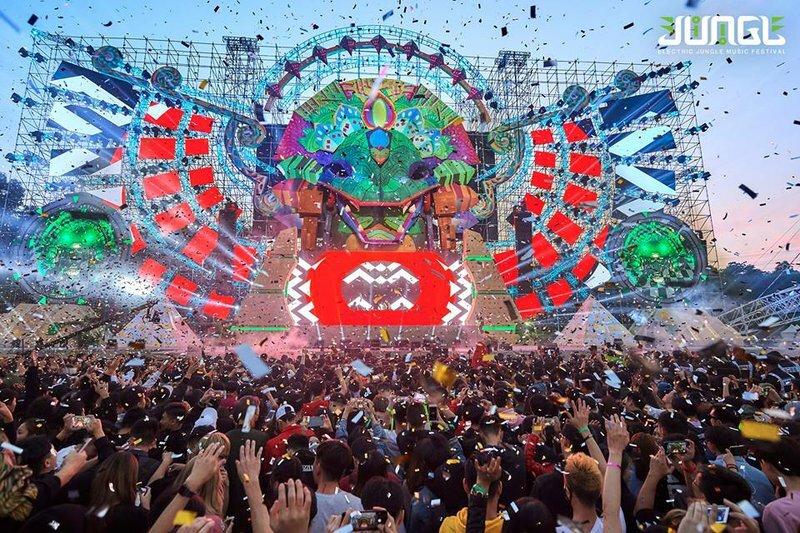 To add yet another dimension to the already impressive 3-stage setup, Skrillex’s production team has laid claim to the main stage concept, called YONG. Symbolizing the mystery and freedom of the wild jungle, YONG is billed as being the most complex audio/visual design and lighting system ever to illuminate the skies of Guangdong. Canadian label Monstercat is responsible for making your booty shake on the second day. Bass music label Rabbit Hole will rumble the jungle, and of course, the best German techno label, “Listen to Berlin” is bringing a handpicked roster of talented DJs from Berlin’s top nightclubs to take your breath away in the heat of the Electric Jungle of China! As if that weren’t enough to peak your interest in this world-class event, Electric Jungle organizers have a few more tricks up their sleeve to keep attendees looking their flyest, even after several days and nights of raging. For all the electric ladies in the jungle, MAC has arranged a “Fairy Zone” to provide makeovers and beauty touch-ups, alongside other interactive experiences in the “Elf Garden,” like a big ball pool pit, a Ferris wheel, and watercolor graffiti booths. Don’t worry, they didn’t forget about the fellas! Another lifestyle themed zone catering to the gentlemen is also in the mix, combining street fashion, electronics, and men's care, next to visually stunning graffiti and installation art in dedicated rest areas. When your done resting and beautifying, but you’re not ready to go back to the music just yet, there are also two options for new media audio/visual experiences at Electric Jungle - A VR gaming area gives everyone a chance to participate in a virtual jungle adventure, and the “Creative Market” team from Japan will be running a digital light and sound new media installation. All of these elements promise to catalyze the energy of Electric Jungle into one extrasensory immersive experience.